New York Times bestselling author Douglas Preston takes listeners on an adventure deep into the Honduran jungle in this riveting, danger-filled true story about the discovery of an ancient lost civilization. Since the days of conquistador Hernan Cortes, rumors have circulated about an ancient White City of immense wealth hidden in the Honduran interior. Indigenous tribes speak of ancestors who had fled there to escape the Spanish, warning that anyone who disturbs this sacred city will fall ill and die. In 1940, swashbuckling journalist Theodore Morde returned from the jungle with hundreds of artifacts and tantalizing stories of having seen the crumbling walls of the Lost City of the Monkey God for himself. Soon after, he committed suicide without revealing its mysterious location. Three quarters of a century later, bestselling author Doug Preston climbed aboard a rickety, single-engine plane carrying expensive laser technology that could map the terrain under the dense rainforest canopy. That flight revealed for the first time an unmistakeable image of a sprawling metropolis, tantalizing proof of not just the mythical city but an entire lost civilization. 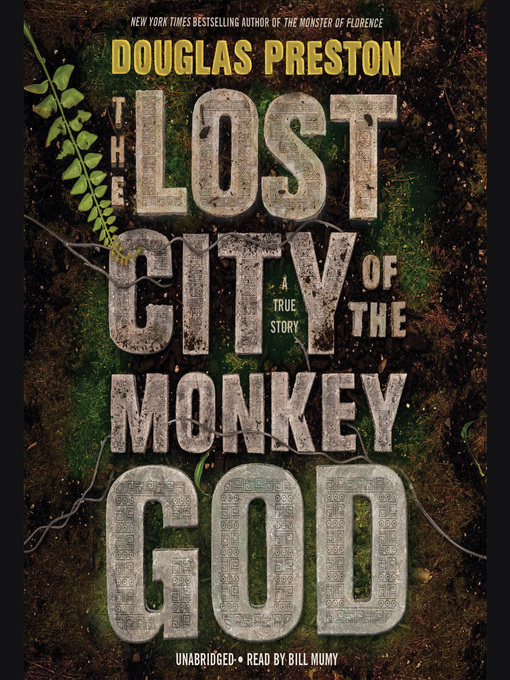 Suspenseful, surprising, and unputdownable, The Lost City of the Monkey God is narrative nonfiction at its most compelling: a story of adventure, danger, ancient curses, modern technology, a stunning medical mystery, and a riveting eye-witness account of one of the great discoveries of the twenty-first century.